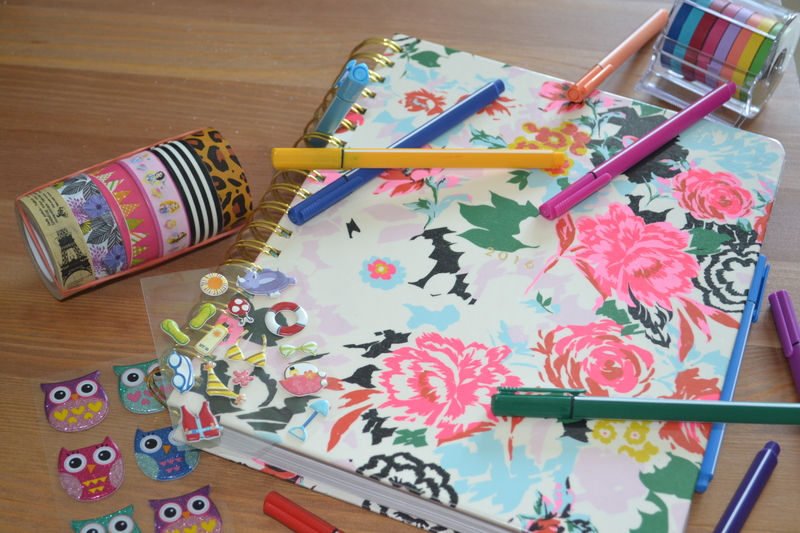 I’m also into colour coordinating; I have about every coloured pen available to make planning a little bit more fun! Colour coordinating helps a lot when you are looking at your week/month; for example I know pink is for my social life, school is purple and red is for work! I know exactly what I have going on a certain week just by looking at my layout. An agenda will also facilitate you in knowing when you’re free (ain’t those rareeeeee days…) and you can use those days to plan stuff with your friends or work on assignments. Another thing I recommend is to do your assignments at least a week before they are due; once they are done and over with you have more free time to enjoy yourself without worrying about due dates and stress. Don’t forget to schedule your time efficiently, give yourself time slots for different “occasions”; for example, never give yourself more than one hour a day for your homework, (UNLESS YOU HAVE A MIDTERM OR TEST COMING UP) you probably already realized that your day flies by, so make sure you prioritize your activities. 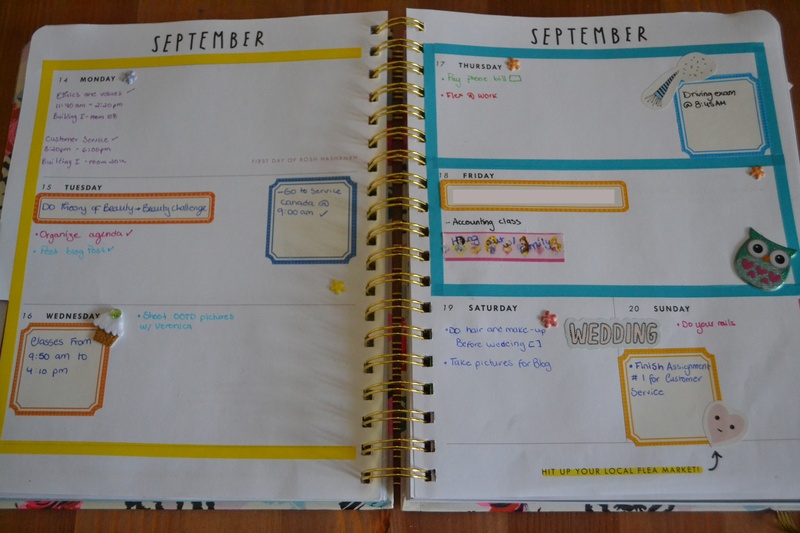 I really enjoy decorating my agenda; I’m an avid user of stickers and washi tape! If you’re the kind of girl who just wants to write her schedule down and be done with it, I strongly suggest you skip this paragraph! 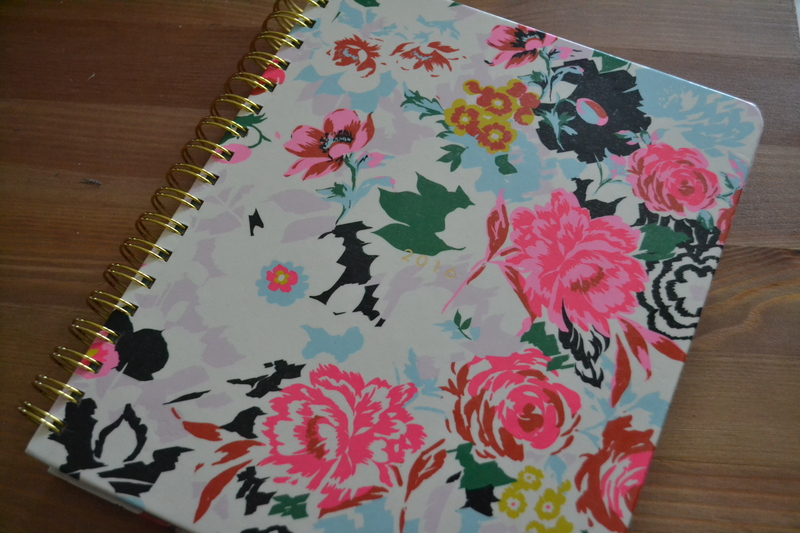 I find that decorating my planner helps me remember things – I really believe that if something is visually appealing I’ll be more willing to look at it! If you need some sticker inspo I suggest you check Elle Fowler’s planner videos! Here’s her planner 101 video if you’re wondering what washi tape is and how many stickers you need. Another trick I like using is to put sticky notes on my mirror with upcoming things that are important. If you need to stay on top of important things, this is the fastest and more efficient way for you to remember them. If none of these trick interest you, you can always try setting reminders on your phone for your school and personal life. I know this seems like a lot, but once you get the hang of things you’ll see how much more organized you’ll be. < Too cool for school!